This episode of SPx is a team effort. Joe and Ashley co-host the show for the first time, welcoming Senator Jeff Brandes to the studio. Senator Brandes gives us an in-depth view of his legislative agenda, talks prioritizing policy over politics and finding issues where he can make a real impact. Coming from a libertarian perspective, Brandes has never been afraid of crossing party lines. Establishing himself as a bit of a maverick, he was the first Republican to come out in favor of medical marijuana. He and his team focus on "transpartisan" issues - the latest of which are parental visitation, flood insurance, and criminal justice reform. Senator Brandes opens up about impactful legislation, the ups and downs of life as a legislator, and following his "true north." Senator Brandes splits legislative policy into two sectors: frontier ideas and fortress ideas. He gives this example: "Uber’s a frontier business. It’s trying to get into new markets. It runs into the fortress of the Hillsborough County PTC, and the PTC is just consistently building the walls higher and digging the moats deeper." Identifying frontier vs. fortress issues is one of Brandes' team's first steps, then they can react to it in a more informed way. "Whether somebody’s just trying to protect their turf; whether somebody who’s come up with a better way to do something and the protectionist measures that the legislature’s come up with are keeping them out of business." Republic, Democrat, or draw? Brandes says he came into the legislature as a libertarian, "so that made me a strange bird in both the Republican house and Democrats because there were times that we would, frankly, we just seemed like neither side really knew what to do with the libertarian in their midst." Senator Brandes has not been afraid to break party lines for issues he believes in, he came out as the first Republican to advocate in favor of medical marijuana. Brandes calls these issues "transpartisan." He sees his team as different from most because they put a larger emphasis on policy than politics. When asked about the process behind his policy-making and research, Brandes responded, "usually we find somebody on the team who really has the passion for that topic and can do a deep dive with us, then we start seeking out national experts." On policy & vision: "We think every single issue needs a vision and a champion. And so many times, groups come to me or I take on issues and I’ve recognized there just isn’t a vision. When I started getting involved in criminal justice reform, I really felt like there was no vision for what criminal justice reform needed to look like in the state, or frankly, the criminal justice system needed to look like in the state. " There is an inherent assumption about politicians, that they'll go in knowing everything. This is false, says Brandes, "everybody assumes that legislators come in with this huge basket of knowledge. Most of them have very little knowledge about truly the public policy behind any major area of policy, right? Yes, they might have been in insurance agency for 35 years, but they’re going to be working in transportation policy. They’ve never done transportation policy before." "At the end of the day, it’s a fool’s errand to think that a legislator can go in and just try to fix everything in this process. You can’t be an expert at all of these things, right? I mean, I’m going to go to 5 committees, but there are whole areas of policy that I have colleagues that I go to and I seek their counsel on when I have to make a tough decision on those." "I think people would be surprised that probably 85% of the votes off of the legislative floor, at least in the senate, are unanimous. There are very few extremely controversial votes. And then there are probably only 3 or 4 votes during the year on the floor that are hyper-partisan." "So I think at the end of the day, you have 40 members of a legislative body that I think really try to struggle and work these issues and they’re not always going to get it right, but they’re working at it, I think, from the right perspective." 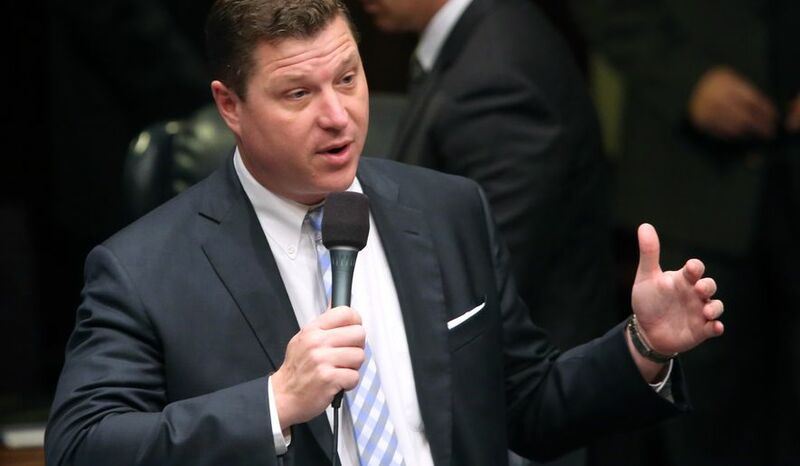 One of Senator Brandes latest efforts has been establishing automatic parental time for fathers, "This bill did one simple thing which was it said the legislature established a standard parenting time schedule that at least allowed—usually dads—to get 20% time with their kids on Day 1." On powerful issues and bills that make a difference: "Very rarely do you get to take on an issue that, to me, can change the course or trajectory of thousands of people’s lives. And I think kids seeing their parents and having a good relationship with both their mom and their dad is one of those few issues that is so powerful that I would have abandoned everything else this year to pass that bill." Senator Brandes is highly involved in criminal justice reform. He says his first year on the committee was eye-opening, "I just looked around the room and I felt like I was at a plane at 30,000 feet with an engine out flying upside down and nobody at the controls." Flood insurance was another hot-topic in the legislature this year, especially for Pinellas County, "Pinellas County is the most heavily subsidized, on a flood insurance basis, county in the entire country. We’re a peninsula on a peninsula. So much coastline and so densely populated and very low-lying area." The costs of flood insurances were sky-rocketing, and Brandes was able to help create a private flood insurance market where none existed before. On regulation: "I’m somebody who believes that any time you have a regulated industry, that the regulator end up getting taken over by the regulated industry almost without exception that we see this." On term limits, "That’s why I’m a big fan of term limits and everything else because at least it’s like a default refresh that we’re going to restart this thing every few years and we’re going to get new ideas in this process. I think it’s so much more important to get the bad legislators and the bad people out of this process, and just replace them with average people versus keeping the exceptional ones forever." On communication with constituents: "Legislators need to do a better job over-communicating, whether that be on Facebook, whether that be on their chats or community talks, podcasts. You can’t obviously focus on all 40 things in-depth, and some of them are minor issues in the grand scheme of life, but there’s a handful of things that they need to be able to communicate, and people need to understand that they’re really passionate about that issue, but they have to over-communicate to do that." On parenting as a senator: "I believe there’s a higher purpose to this experience and that my kids will live a richer life because of some of the tough issues I’ve worked on, but frankly, that other kids will live better lives too." Shout-out: "To legislative spouses and to elected officials’ families. I think, to me, they’re the unsung heroes of this process. They get to deal with all the downside and very little of the upside of this. They get to see the negative TV commercials, and they get to get the negative mail pieces, and their friends talk about it at school. They get to miss the nights that you’re not home." "I think our founding fathers were so wise to make sure that this was a citizen-led group, and that we are really citizen-servants. And to be able to go back home and just take off the mantle of whatever that profession is, and just be a dad or a husband at the end of the night, is incredibly grounding to this process." "I’ve kind of distilled all legislative ideas into two things. It’s either a fortress idea where lobbyists are being hired to build the walls higher and dig the moats deeper, or it’s a frontier idea where people are being asked to fill in the moats and tear down the walls." 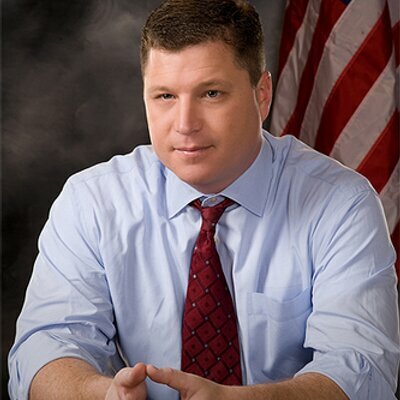 Senator Brandes was assigned to the Criminal Justice Committee as a freshman lawmaker. His passion for criminal justice reform grew there as he listened to stories, one striking him in particular. “I heard a story about a gentleman in South Florida who had been in jail/prison,” he said, “he had acted out in his cell, and they [correctional officers] threw him in a shower, 2 hours later they came back and checked on him, and he was dead.” Trying to understand the situation and the protocol, Brandes had questions, “‘Is it typical that you would not check on somebody for 2 hours? Was it typical that it be a steam shower turned up as hot as it was? '” Brandes was puzzled and outraged to find that no one really had answers to his questions. There was no larger vision for how criminal justice should be, only how it was. He remembered, “I just looked around the room and I felt like I was at a plane at 30,000 feet with an engine out, flying upside down and nobody at the controls. Since then, Senator Brandes has made criminal justice reform one of his top legislative priorities. This past legislative session, Sessions was the primary sponsor of SB 458, which would have established a Criminal Justice Taskforce, a 28-member bipartisan task force on criminal justice reform. The purpose of this task force would have been to conduct a comprehensive review of the state’s corrections, criminal justice and court systems. The recommendations and findings of this review would then have been used during the 2018 session to drive criminal justice reform legislation. This comprehensive, evidence-based approach has been utilized successfully in other states. Unfortunately, the companion bill died in the Rules. Increasing attention has been paid to criminal justice reform over the last month, after the Miami Herald released a 6-part series titled, Fight Club, an investigative report uncovering the widespread abuse of force, physical and sexual misconduct, and medical neglect by employees of youth detention facilities. As the new chair of the Senate Appropriations Subcommittee on Criminal and Civil Justice, Brandes is advocating for a number of reforms to the adult and juvenile justice systems. Live camera feeds from each program that could be constantly monitored by DJJ. A 10 percent pay increase for state employees working for DJJ, as recommended by Gov. Rick Scott and Daly a little over a week before the series was published. It is the first pay increase the agency has requested in 10 years and it will apply only to the officers working for the state, not those working for the private companies. Brandes said it is “concerning” that the agency sought the pay increase only after the Herald started compiling the data and disclosing the low pay of detention officers. The starting salary for a recruit hired by the state is $12.25 an hour, or $25,479 a year. Private contractors who oversee programs where detained teens serve their sentences often pay less than that. TrueCore Behavioral Solutions, the largest provider, offers new hires $19,760 a year. Listen to this long-form conversation with the Senator as he talks about establishing a new vision for Criminal Justice reform, removing barriers to frontier issues, and taking control of the metaphorical plane through smart, transpartisan policy-making. "But I think you need to find every year a handful of issues that you focus in on and you kind of consistently work, and you message over and over and over about because that’s what finally breaks through, and people will begin to hear the message." (21:20 – 23:22) Why does policy end up upside-down? JOE HAMILTON: Hey, this is Joe Hamilton. SENATOR BRANDES: Hey! Pleasure to be here. SENATOR BRANDES: Alright, I’m out of here. ASHLEY: Hey, it’s two against one at this point. JOE: So you’re our guinea pig. Hopefully, nothing goes awry. I once saw you speak at the St. Pete Chamber of Commerce Coffee Chat. That was a great talk. You started out by saying “Let’s get some ground rules in place. No one’s recording. Nothing goes on Twitter. We’re going to talk freely here.” and you did, and it was pretty awesome. That was a cool experience with a politician. Thank you for that. Do you feel like that’s basically what you’re navigating the bulk of the time? Senator Brandes: Yes, I think we try to simplify to the most simple distilled version we can. And so in many areas, to the extent that we can run a voucher program versus hire affordable housing group, we’re actually looking at building properties or looking at managing finances, we’re doing all of these other things, we’re trying to construct densities down to how many bedrooms, how many bathrooms, what is the tile like which just seems so much more complicated than to say “Do you have the finances? What’s your monthly income? If you need $800 to make market rent and you’re making $650, can we help you get $150 to make market rent?” and then you go about your merry way and we don’t have to make any of these other decisions. So I think that’s just one example of how I think about governing in this space and just trying to distill things down to keep it simple. JOE: Do you think that that moves along party lines at all as far as people who—the free market people or the trading people, whatever, to say “Give them the money.”, the other people may be more to the left say “Let’s build the houses and choose the number of bedrooms.”? Or, do you think it’s just people get that it all grinds down to the simplest possible? Senator Brandes: I think very few people think it grinds down to the simplest possible. I think there’s a variety of different reasons why these programs grow. I’ve kind of distilled all legislative ideas into two things. It’s either a fortress idea where lobbyists are being hired to build the walls higher and dig the moats deeper, or it’s a frontier idea where people are being asked to fill in the moats and tear down the walls. Let me give you a couple of examples. Think about the Uber fight versus the taxi cabs, right? Uber’s a frontier business. It’s trying to get into new markets. It runs into the fortress of the Hillsborough County PTC, and the PTC is just consistently building the walls higher and digging the moats deeper. Well you can take that example and look at hotels and Airbnb. You can look at just so many different things around the country and then different examples of legislation that is either a fortress – And so I think at least our office, we try to identify pretty quickly whether it’s a frontier issue or whether it’s a fortress issue; whether somebody’s just trying to protect their turf; whether somebody who’s come up with a better way to do something and the protectionist measures that the legislature’s come up with are keeping them out of business. And it scales on every issue, right? Think about Growlers and how difficult it was to get Growlers in the State of Florida for craft beer. Well, it was because the large distributors didn’t want that. They wanted to sell you the 6-pack of Bud Light. They really weren’t interested in you going down the local craft brewery and buying a Growler. Here’s an example of another fortress versus frontier issue. But for the most part, I think, I just have come to believe that to the extent that we can simplify things as much as possible, we will get a better outcome for the hardworking taxpayers which I represent. ASHLEY: I kind of want to understand, though, just sort of how you’ve evolved as a politician. Senator Brandes: I think I came in more as a libertarian, and so that made me a strange bird in both the Republican house and Democrats because there were times that we would, frankly, we just seemed like neither side really knew what to do with the libertarian in their midst. And so, I’m a Republican who was the first to come out and advocate for medical marijuana and say, look, this is something that we need to get behind and think about because I think it’s the right policy, and people are suffering. Here’s something that many other states at looking at, and Florida’s frankly looking at it too. I was the first one to come out for that. We have been working on just a variety of different issues that we think are just kind of transpartisan. Really, you can’t just say it’s one party issue. We think about policy just very differently. And I think that’s another thing that I think makes our shop really different is we’re really a policy team. The politics goes on around us, and obviously, you have to participate in that at some level, but that’s not really where our comfort zone is. We really want to be in the policy behind things. And so we think there’s one big idea at every area of policy and we just like to go do that. We think, for example in transportation, the future is shared, electric, and autonomous, right? Uber comes on the scene 5 years ago, revolutionizes the shared economy and really kind of kickstarts it. Then you have Tesla coming up with electric vehicles, and now everybody’s getting in the electric vehicle business. And then you have the autonomous world which is being started, really, by Google back in 2008-2009. But every single auto manufacturer is spending billions of dollars in this space. And so we recognize back in 2011 that this was a really interesting area of policy that we could get involved in, and frankly, nobody else was out there doing it. And so we began to build relationships early on with Google and some of the other auto manufacturers in the space and tried to understand what the future looks like in a world where there’s not car crashes and where we could add additional capacity existing roads. All of these different ideas started to come together and we said, wow! Why would we focus on anything else than transportation? Then this idea—not because we’re going to see it in the next 1 or 2 years back in 2011—but I think by 2022-2025, we’re going to start seeing this technology play a meaningful role in our lives whether it’s kind of as a guardian while we’re driving down the road to make sure we don’t get accidents, or whether it’s the actual autopilot feature that you can take your hands off the wheel and your feet off the pedals. We think that’s a big idea on policy. And that’s the kind of thing that I’ve just come to love inside of the job that I get to do every day. JOE: And what’s your process? You go mile-deep on a few issues versus mile-wide on a lot of issues. And you’re moving now from sort of the self-driving cars into judicial reform. You say you know this is coming down the pipe. This is your next big issue and big idea. What happens next? Do you rejigger your team? Is it a research phase? What’s your process? Senator Brandes: No. So, usually we find somebody on the team who really has the passion for that topic and can do a deep dive with us, then we start seeking out national experts. And so we start talking to groups in the criminal justice space like Pew Charitable Trusts. We’re working with a group called Right on Crime. There’s a variety of different groups that are focused on criminal justice reform. And so we reach out, and we want to talk to the Executive Director of that agency and begin to build a relationship. And then we kind of see where it goes. We begin to kind of cast a vision for where we think we want criminal justice to look like. We start really doing the data side and trying to understand what the real problem is. There’s 100,000 people incarcerated. There’s another 40,000 people in jail. Even though crime rates are declining in the state, we have a very steady incarceration rate. Other things that we’ve identified as problems are that we aren’t retaining our prison guards. If you go to a prison in Florida, your prison guards will probably have less than 2 or 3 years of experience. They’re turning over all the time – usually getting poached by their local sheriff that’ll give them a signing bonus and a higher salary. I mean, a prison guard in Florida starting out probably makes $29,500-$30,000 a year in what I think is one of the roughest jobs in the state. And so how do we now begin to think about a retention schedule, and see them as valuable assets in the correction system, and retain them for longer? And so I think those are some things that we think about. But overall, I think our philosophy that incentives matter comes into play and we say “All right, well what’s the incentive structure for that officer? What’s the incentive structure for that warden? What’s the incentive structure for the prisoner/inmate too? What’s the incentive structure for him to be on good behavior? What’s the incentive structure for him to go to school?” Because they react to incentives as well, and I think that’s where we have to come back and relook at the system and say we’re going to completely rethink the incentive structure top to bottom – from the sheriffs to the arresting officer on to the warden and the Department of Corrections because if we can get the incentives right, then we’ll really drive behavior. JOE: Do you feel like there’s a cycle to that process where you do the research, you start to see some solutions, and you start to formulate a plan; some of them are spot plans and some of them require a bigger, more comprehensive overhaul? And you get to that point where you sort of see the path in front of you, then you have to transition into sort of fight mode where you have all these people that want the status quo and then just shifts in X number of months doing this phase and then next month’s fighting actually enacted? Senator Brandes: We think every single issue needs a vision and a champion. And so many times, groups come to me or I take on issues and I’ve recognized there just isn’t a vision. When I started getting involved in criminal justice reform, I really felt like there was no vision for what criminal justice reform needed to look like in the state, or frankly, the criminal justice system needed to look like in the state. We’d have 4 different Correction Secretaries in 5 or 6 years, and it was a complete agency influx. We were losing people left and right as far as guards in the system. We can see today, our contraband inside of prisons has gone through the roof. That’s just shows you that’s a symptom of something deeper that’s wrong, and frankly, there was very little vision, and nobody really could tell you where they wanted this Department of Corrections to be or this agency to be. And frankly, there was no champion. There was no champion to legislature. There was no real champion in the overall system. Most people just want inmates to go away, right? They’ve done something bad, we want them to go away, and come back fixed. There’s more to it than that, right? We’ve got to go deeper, and we’ve got to understand things. We’ve got to focus our resources because we only have a limited amount of resources. So we think, first, cast a bold vision and then find the right champion. And then we think—at least in this topic—is hire the right guide. We think about kind of criminal justice reform, like many other issues, but we’ll use the criminal justice as an example as like this journey to the Amazon where I’ve never been, and I go “What’s the most important person to hire on this journey because we’re going? Who should we go hire?” We think the most important is the guide, right? Once you hire the guide then he’ll tell you what you need to bring and how you need to bring it, and he’s crossed the stream 10 or 15 times. You can figure that out once you have somebody in place and they’re not brand new. And so we went out and hired the guide, and we went out and found the right people to bring in and help guide you through this process. Everybody assumes that legislators come in with this huge basket of knowledge. Most of them have very little knowledge about truly the public policy behind any major area of policy, right? Yes, they might have been in insurance agency for 35 years, but they’re going to be working in transportation policy. They’ve never done transportation policy before. So it’s really how do I quickly adapt? What are the key principles by which I kind of view things? I mean, we call it kind of ‘true north’ in our office, like, what’s the true north here? Who’s pointing there, and how do we figure out how we can begin to pivot in that direction? But we think that that’s something that our office has become really good at. We’ve really spent time building our team. JOE: Then getting up to that point during the action phase, during the implementation phase, during the policy change phase, we’ll call it, you have that guide. I think things just with the ignorance here, the prison system there’s a certain contingent that’s just lived comfortably with the way it is and it becomes more work for them which may be embarrassing, or to some extent, showing their shortfalls, more work but more reward while they’re being embarrassed the whole time because of how bad things have been run or whatever. So, how often does that guide—there’s a play there between them being part of the original structure, and now expecting to being part of the new structure, or is it simply everybody—I guess it depends on the area of how big the defenses are. But what’s that experience like? Senator Brandes: So I think it’s different in transportation and criminal justice than it is in healthcare or education. Senator Brandes: Right? I mean, there are a ton of legislators who play in healthcare, and there’s a ton of different interest groups in the healthcare space, same in the education space, right? There’s just a lot of crowding of interest in those two spaces. What I found, at least in transportation and in criminal justice, was those were spaces that we could come in and we could really cast a new vision for. The vision for health care, the vision for education is whether you agree with it or not, there are other people who really are pushing their individual visions, and sometimes, it’s kind of schizophrenic because you have multiple visions of where we want education to go and where we want healthcare to go. That hasn’t been the case too much in transportation or criminal justice. And so I think that’s why we’ve gravitated towards those because we felt like we could have a greater impact in areas where there wasn’t a ton of leadership, a ton of different visions already, and then we could go in and kind of cast what we thought was the primary vision for each one of those, and hope that people will come along with us and help guide them to that. I mean, I would say we’ve been very successful. Ford is a leader in autonomous vehicle technology. I think 5 years from now we’re going to look back and we’re going to be a leader in criminal justice reform, and something we can be really proud of. The other areas we’re going to let our colleagues in legislature continue to work through those, and we’re going to help support them and point them to where we think the true north is. But I think, at the end of the day, it’s a fool’s errand to think that a legislator can go in and just try to fix everything in this process. You can’t be an expert at all of these things, right? I mean, I’m going to go to 5 committees, but there are whole areas of policy that I have colleagues that I go to and I seek their counsel on when I have to make a tough decision on those. JOE: When you talk about going to colleagues, I’m curious. You came in sort of in the middle, libertarian or not identifying with one camp or the other as far as the standard Republican/Democrat. What’s the interplay like between you and the other people in governance that ‘This is my pet issue. This is your pet issue. You help me here. You help me there.’? And how does that sort of contact work on the backend especially with you not identifying with necessarily tightly with one group or the other? What’s sort of the interpersonal play between you and the other people that are policy-makers? Senator Brandes: Well I think, at least in the legislature, there’s 120 members of the Florida House. There’s only 40 members of the Florida Senate. So when you kind of go rogue in the house, there’s a lot of other cover that you can get. The joke in the legislature is that you can have a riot on the floor of the Florida House and the speaker will gavel you down. But if you cough in the senate, like, the whole place stops, and that’s because the 1 or 2 votes really can change the entire dynamics of vote. Some of the most passionate floor debate this year there was just so one topic, everybody was so engaged and passionate about, and it was on downward departure; allowing judges to look at each individual case separately and downward depart from a mandatory minimum sentence if they felt like the facts of the case were worthy of a departure downward from what the legislature had said as the mandatory minimum. Hours of debate on this topic. Just members sitting in their seat completely engaged, listening to the debate on the floor, and 1 vote is what cast the direction that that bill ultimately went. And those are the types of things that I really enjoy. And that’s why I think the interplay between building trust of members, building relationships, trying to deeply understand what’s the motivation here? Is this really something that they personally believe? Is this an issue they deeply care about? Are they just kind of voting with the group one way or the other either side? But what’s the real issue here? I think people would be surprised that probably 85% of the votes off of the legislative floor, at least in the senate, are unanimous. There are very few extremely controversial votes. And then there are probably only 3 or 4 votes during the year on the floor that are hyper-partisan. So I think at the end of the day, you have 40 members of a legislative body that I think really try to struggle and work these issues and they’re not always going to get it right, but they’re working at it, I think, from the right perspective. ASHLEY: I had the opportunity to witness you in session earlier this year, and you were, I believe, the bill had to do with visitation of fathers to their children. Do you find yourself sort of personalizing or getting attached to some of these issues as you’re navigating? Senator Brandes: Absolutely. I think that was a bill particularly all year long that we said this is the only bill that matters. Here’s one bill. It was a very simple bill. Basically, what it does is it says you have a child out of wedlock, today, the process is you’ll go before the Department of Revenue and they’ll set your child support schedule. Typically, the father will pay the child support in this case. But then they say, look, if you actually want to see your child, we can’t do that here. You have to go to Court. So that created this gap because then they’d say “Now I have to go hire an attorney” or “I have to go get money.” or “I have to schedule another time to go to Court.” This bill did one simple thing which was it said the legislature established a standard parenting time schedule that at least allowed—usually dads—to get 20% time with their kids Day 1. So you could do it at that very location when you went to get your child support setup. We think that’s important. I mean, I think that kids spending time with their dads—as a father of 3 (soon to be 4)—is incredibly important. And so for me, yes, these bills will get deeply personal because so many things that we do in this legislative process affect a handful of people, like really technical, who gets this dollar or who gets that dollar, or some interesting area of policy but it has to do all with beer distribution. Very rarely do you get to take on an issue that, to me, can change the course or trajectory of thousands of people’s lives. And I think kids seeing their parents and having a good relationship with both their mom and their dad is one of those few issues that is so powerful that I would have abandoned everything else this year to pass that bill. Yes, so I mean, there are bills you get emotionally invested in. There are ideas that you think really matter, and that you just go into it with a very different perspective. I don’t get emotional or engaged in the conversations for flood insurance like I do about helping kids see their parents. To me, that’s what makes this process so great is that at the end of the day, there are just a handful of issues that you can be so passionate about that matter and that will change the course of people’s lives. ASHLEY: Can you connect the dots to that passion and certainly your passion around educational reform, and sort of the layers as you look at our society and crime in our community? Were these natural launching pads to get you sort of in criminal justice and in sort of that pet project? Senator Brandes: Yes. I mean, look, my passion for criminal justice became because I got put on a Criminal Justice Committee, and I sat in this committee, and I heard a story about a gentleman in South Florida who had been in jail/prison, had acted out in his cell, and they threw him in a shower, 2 hours later they came back and checked on him, and he was dead. And I said “Is it typical that you would not check on somebody for 2 hours? Was it typical that it be a steam shower turned up as hot as it was?” And I just looked around the room and I felt like I was at a plane at 30,000 feet with an engine out flying upside down and nobody at the controls. And I just had this kind of emotional reaction to say, look, if I don’t jump in here and get engaged in this topic, ain’t nobody going to get engaged in this thing, and we’re just going to keep going for another 5 or 6 years, and I’m going to really regret that I didn’t try to at least get to the cockpit and get my hands around the controls of this thing because I didn’t feel like we were in a good place or in a good direction. And the more I dug in, the more I learned, the more I get data, and we ask for studies and research, we got so many things back that were just like all of the lights on the panel were going off for me. And so that’s why I think it’s so important that we begin to kind of cast a new vision for some of these topics. But that’s just one example of taking these types of issues on. JOE: How many planes flying upside-down with one engine out are there? Senator Brandes: In the legislative process? Senator Brandes: I mean, at the national level, a bunch. Whole airports, whole fleets are flying upside-down with engines out. I think in the state, there are a number of areas where I think that we’re not moving in the right direction. I think we’re going to have a massive problem with affordable housing. And I think that’s an area that just has very little leadership. We’ve tried to provide that during the chairmanship. We have Affordable Housing Task Force right now that provide us some new guidance in that area. I think that’s a major area of policy that needs some work. We’ve actually done some real work on the flood insurance space because we thought that was an area that was upside-down. You think about this: Pinellas County is the most heavily subsidized, on a flood insurance basis, county in the entire country. We’re a peninsula on a peninsula. So much coastline and so densely populated and very low-lying area. When Biggert-Waters came in a couple of years ago at the Federal level, they were raising rates from $1,000 to $8,000 a year. Well, good luck. Hand somebody my keys, because I’m paying more on flood insurance and I am on my mortgage, and we had essentially no private market in that space. And so we’ve been able to write legislation, create a private market in flood insurance. So we’ve gone from 0 private writers of admitted carriers in the state to now almost 18 private writers and admitted carriers. We’ve actually created a market where it didn’t exist 5 or 6 years ago in flood insurance, at least in the private side. And so I think those are the areas that, to me, when you find these planes that are flying upside-down, and you just think they’re completely off course and nobody’s really running point on them, those are the ones that we love to take on. JOE: Obviously, a group of intelligent people built the plane and made it take off. Are there acute incidents like the one entity coming in and raising the rates you can typically point to, or is it just that areas get attention, and then they lose attention, and then they go wayward? Why do they go upside-down? Senator Brandes: They get upside-down for a couple of reasons. To go back to the affordable housing example, I think you’ve seen the state get carved up into 5 or 6 regions, and essentially, a couple of people understand affordable housing and so they take those areas on as kind of their fiefdoms, and they run the affordable housing projects in those regions, and they keep everybody else out, and they’re making sure that they get the project. It’s costing us $200,000 a unit to build. And they’re perfectly fine building a handful of units a year. We only build, I think, 2,000 or 3,000 units a year in the state. Well, with 20 million people, if you build just that many units a year, it’s vapor in the bucket. It’s not really even a drop in the bucket at that point. So you have to rethink that model, but you also have to work against the interest groups who are used to getting, every year, a handful of projects so that they can keep building and building and building. They’re working with their legislators to try to make sure that that spigot doesn’t turn off. That’s one example, but there’s plenty of others of areas and issues where I think you just have these entrenched interest groups. I’m somebody who believes that any time you have a regulated industry, that the regulator end up getting taken over by the regulated industry almost without exception that we see this. Senator Brandes: Look at Hillsborough County with the taxi cabs and the PTC. Perfect example. I mean, look at Pinellas County where you have the Pinellas County Licensing Board basically being taken over by the people that were supposed to oversee and telling people “No, you don’t have to pay your fine.” or anything like that. There’s another example. So almost without exception, any time you have a regulated industry, they’re going to push to get more people on the board so that they can regulate themselves, and that’s where, I think, you’ve got to continually clean house in that space. Senator Brandes: That’s why I’m a big fan of term limits and everything else because at least it’s like a default refresh that we’re going to restart this thing every few years and we’re going to get new ideas in this process. I think it’s so much more important to get the bad legislators and the bad people out of this process, and just replace them with average people versus keeping the exceptional ones forever. I think you need new ideas that come through. Even if you lose some of that experience, hopefully, they’ll stay and provide some of that counsel on the outside. But it’s so important that you get new ideas in this process. Senator Brandes: I ran for the Florida House in 2010, and then I ran for the Florida Senate in 2012. The way the senate works is you have a series of 8-year seats, so half the seats are 8 years and half the seats are 10 years. I was lucky enough to get a 10-year seat which means I can run until I serve 10 years in the senate. So I ran in ’12, ’14, ’16. I have to run again in ’18 and then I’ll have, god willing and the creeks don’t rise, I’ll have a 4-year seat which will be nice. JOE: Cool. And any thoughts after that? Senator Brandes: No. I mean, look, as somebody who loves public policy, I think there’s no better place in all of politics than a state senate. You’re 1 of 40. I mean, I was blessed to be a Chairman as a freshman. I had Transportation as a Chairmanship as a freshman, and you get to work on a variety of different areas, and whether people will pick up the phone for you and you could ask tough questions and seek counsel, but I love what I get to do every day. I love the Florida Senate. I love the issues that we get to take on and get involved in. I just have a passion for the public policy, and almost more than any place else, you can’t do that. So the compelling reason to go to congress, I think, is a challenge. But I’m somebody who believes you got to maximize your options for the future. You just don’t ever know what God’s going to put in your path and opportunity He’s going to provide for you. So I’m going to focus on doing the best job I can until 2022, and keep working on the issues that I’m passionate about and think I could add value to. JOE: I’m curious. You see a lot of things, right? Your job is to learn and become an expert at these things and essentially uncover opportunity. And so having the seat that you have, do you feel like in your future you’re going to take one of these ideas and make a business out of it once you’re done with the public life, or does that even come into play with you as seeing those kinds of opportunities? Senator Brandes: I think I see a lot of different business opportunities out there. What is a business? It’s a group of people who fill a need in the community. And so I think that as time goes on, you’re seeing this whole world shift, right? The shared economy has exploded upon us whether it be Uber with rideshare or Airbnb with vacation rentals and home share to Turo which does rental cars. I mean, this whole space is exploding. Everybody’s looking to drive efficiency. I think there’s just so many different amazing models out there. I think this is an amazing time to be engaged. Technology offers people so many interesting options, but you have to engage early and you have to be prepared and focused on this. That’s why one of the reasons I’ve pushed coding in high school as a foreign language because everything I think in the future is going to be dealing with computers and technology. We have a need for a number of coders. I think there’s just a ton of opportunity. But yes, I think as I go through this process, I think about all kinds of different opportunities that come out of it. And I can’t imagine governing my professional career with that being self-aware of those filters or those expectations or those opinions that may be temper yourself when you’ve had to. 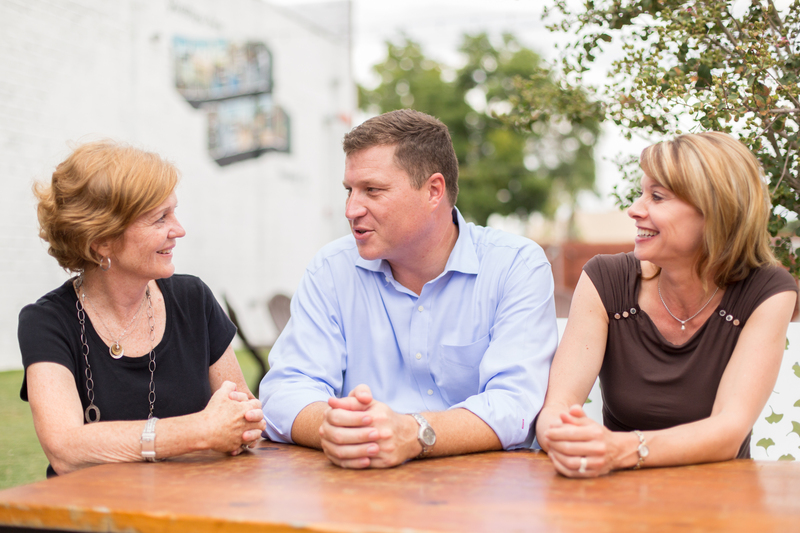 Senator Brandes: So I think we’ve just built a great team, and I don’t think of a legislative office as the legislator. I think it’s a team operation. I think it’s really important that the team work really well together and operate whether that be constituent services, whether it be legislation, whether it be the political side or the policy side, you have to think about this operation and so many different facets of it. And finding, and attracting, and retaining talent, to me, is just as important in this operation as it is in any other business probably more so in this operation than it is in any other business that I’ve ever been involved in. Look, if I get it wrong in other businesses, tomorrow was another day and we can readdress it then. If you get it wrong here, that day might not come around for another year. And so you need to have a great team that you focus where everybody’s kind of playing to their preferences and they’re committed to the cause of what you’re working towards together, and I think we’ve been able to build that. My group loves this area. They love the issues that they’re working on. They’re deeply passionate about them. We love working together. We have a really good time. We believe in the goal which is to provide this kind of really high-quality level of service, but also to be able to focus in on the 1 or 2 big ideas that we think really matter. ASHLEY: Have you had to modify your style of communication? Senator Brandes: I think legislators need to overcommunicate. I think we believe that just people understand what we do. When you ask my wife “Can you name me 3 or 4 bills that I worked on this year?” I worked on 30 bills, and she’s “Well, I think you did this. You did that. You did that.” And I say “Well, I did that 2 years ago.” And so I think people don’t understand the breadth of things that a legislator works on. Legislators need to do a better job overcommunicating whether that be on Facebook, whether that be on their chats or community talks, podcasts. You can’t obviously focus on all 40 things in-depth, and some of them are minor issues in the grand scheme of life, but there’s a handful of things that they need to be able to communicate, and people need to understand that they’re really passionate about that issue, but they have to overcommunicate to do that. Senator Brandes: No. It gets to show you, right? When somebody’s spouse doesn’t know what they’re doing or doesn’t know the 4 or 5 issues or 10 issues, then how do you expect the public to know what you’re working on in those issues that you’re passionate about here and you’re interested in or that you’re trying to advance? So I think to me, that’s kind of one of the lessons I’ve learned is how do I figure out how to overcommunicate this? Yes, it’s going to be on the traditional mediums where you have to be on Facebook, you have to be on Twitter. It’s a marketing position. I think some of the most successful legislators I’ve seen have been the ones that they beat the drum of 1 or 2 or 3 big issues, and people knew that that’s where he went for those issues. You have to change that up because you can’t do that for 10 years. But I think you need to find every year a handful of issues that you focus in on and you kind of consistently work, and you message over and over and over about because that’s what finally breaks through, and people will begin to hear the message that, look, the criminal justice system is broken in Florida and unless we fix it today, it’s not going to get better and you’re going to be wasting dollars in a system that’s not about rehabilitation, that isn’t a correction system at all. It’s essentially a warehousing system. We’re warehousing people, and that’s not right. And you and I deserve better than that. And we want our legislative system to be better than that. To me, that’s a story that sells, but I have to tell it over and over and over again. I have to tell people over and over again that, look, the future of transportation is self-driving, shared, autonomous vehicles that are largely electric, and we need to rethink our entire system based around this because if we make some choices today, we could save billions of dollars in the future with this technology. And so I tell that story all the time about where I think the future is going in that space. Or even mundane topics like flood insurance I’ll say what’s the most valuable asset you have right at your home? You live in Pinellas County. You might not be required to buy flood insurance. But you know what? If we get 9-foot seas or if Hurricane Irma had just come over a little bit, we would have had potentially 9-foot storm surge, and your home, your number one asset, would have been gone, and potentially, your homeowner’s insurance wouldn’t have covered it. So don’t you think we should be doing more in this flood insurance space to protect the number one asset that many people have? And when you start telling those stories over and over again, and you begin to message around that, I think people understand the passion that you have for an issue and your desire to really change the perspective, and hopefully, get some support to continue to do what you’re doing in the future. ASHLEY: So earlier this year when we were in Tallahassee, you were away from home, you had spent several weeks sort of going back and forth, and your homesickness was a little bit palpable. And you talked about your 3 children, and now you have a fourth on the way. Congratulations! Senator Brandes: Yes, we’re adopting. ASHLEY: Can you share anything about that? Senator Brandes: Oh, I don’t know. I don’t feel like it’s time yet. Letting people know that I have a fourth on the way is enough. But yes, next time we do the podcast, I’ll tell you all about it. ASHLEY: That’s pretty phenomenal. Congratulations. ASHLEY: Yes, but your homesickness was palpable, and you talked about how hard it was to be away from your children. What do you tell them about what you do? Senator Brandes: So they’re 9, 6, and 3. They’re just beginning to understand kind of what this process is like and how difficult it is. But you’re right. I mean, I’m gone 100 days out of the year whether it be the 60 days of legislative session, or whether it be the committee days, or it’s just days I’ve got to travel to conferences, or go speak around the state. It’s hard. That’s, to me, one of the biggest challenges of this entire profession is the family sacrifice right along with you. There’s not a day that goes by that I’m not thinking about that sacrifice and the fact that I’m not going to be at Cub Scouts today, or the fact that I’m going to miss a birthday party. This experience happens. But I believe there’s a higher purpose to this experience and that my kids will live a richer life because of some of the tough issues I’ve worked on, but frankly, that other kids will live better lives too. Going back to parenting time, a thousand kids could see their dads more. That matters to me. My thing into autonomous vehicles where I think you’re going to get rid of DUIs at that point and that matters because people will be alive longer. Flood insurance because people will be able to maintain their homes and to prepare for catastrophes better. And criminal justice because I think that a system that rips families apart and parents who don’t get to experience being in their kid’s lives matters. And so I think I tell those stories to my kids. I say “Here’s why I do this.” because at the end of the day, there’s a kid in every one of these things that I’m working on. Even if you don’t think there is, even if you can’t kind of see the connection, let me share with you the connection. And so dad’s gone because dad’s helping other kids see their parents. 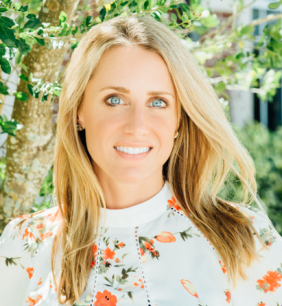 ASHLEY: Senator Brandes, we like to take the end of our show to focus on an entity or an individual, sort of an unsung hero, maybe an organization that doesn’t have a platform that you think needs a little bit of attention. Senator Brandes: I’m going to do a shout out to legislative spouses and to elected officials’ families. I think, to me, they’re the unsung heroes of this process. They get to deal with all the downside and very little of the upside of this. They get to see the negative TV commercials, and they get to get the negative mail pieces, and their friends talk about it at school. They get to miss the nights that you’re not home. I think that they are really unsung heroes—and that is as bipartisan as it gets because the conversations that I have with my colleagues on all sides are very similar; that this is really one of the most challenging parts of the job. We’ll all learn this stuff together, but you don’t get the days back. You don’t get the hours back with your kids and in your spouse. And so to me, they are the heroes of the political system. The value that they bring, both sanity and grounding, because you come home, and you know what? You’re taking out the trash. I don’t care what you did on the senate floor that day, the trash has to go out, the kids need to be fed in the morning, everybody’s got to get clothed, and the backpack’s got to be in place, and drop off times don’t change because of your senate schedule. So I think, to me, that is the grounding nature of this process. I think our founding fathers were so wise to make sure that this was a citizen-led group, and that we are really citizen-servants. And to be able to go back home and just take off the mantle of whatever that profession is, and just be a dad or a husband at the end of the night, is incredibly grounding to this process. ASHLEY: I can only imagine the lively debates about who’s packing the lunch. Like, you taking a stand and talking about why or why not, and teaching your children a lot about that. Senator Brandes: At all possible moments. Yes, I have to build up that reservoir of good experiences because it drains out pretty bad when I call at 9:00 at night and tell I’m going to be an hour or two later. That happens more often than it should. JOE: Thanks so much for your time. Senator Brandes: No. My pleasure. Thank you so much. JOE: Enjoyed it. Appreciate it. Senator Brandes: You got it.